On a custom bike, they can be wherever you want them to be. 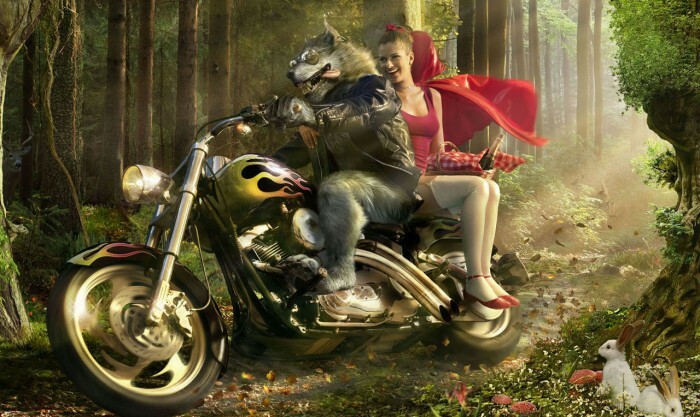 And this big bad wolf looks like he doesn’t like to conform to standards. Incidentally, neither does not so little red riding hood. The perfect couple. Good on them. The only thing she needed to hear to get on the bike with him.